Saturday's Irish Premiership game between Carrick Rangers and Ballinamallard United has been switched to Ferney Park. This is because of the continued problems with Carrick's home ground. Five recent games at the Belfast Loughshore Arena have been postponed in recent weeks which has left Carrick with a major fixtures backlog. 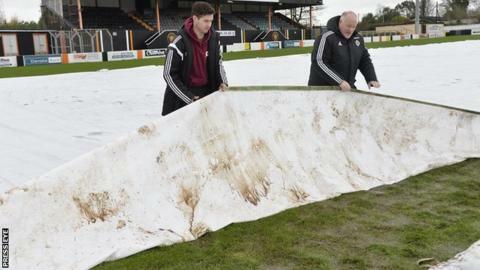 Ballinamallard's scheduled home fixture on 12 March will now take place at the Carrick Rangers premises.